PlayStation has announced that early next year players will be able to change their PlayStation Network Online ID for the first time. It’s a long-awaited feature for PlayStation users that means those weird and shameful usernames will be no more. Can’t relate? Try to think about your very first email address… Yeah, same here. The new update will mean you’re able to change your online ID as many times as you want. The first change is free, but any after that will cost you. PlayStation gamers were quick to show their relief on Twitter. This person will no longer be burdened with a username relating to American horror comedy film Scary Movie. Darnell, a YouTuber from Birmingham who goes by the PSN name NINExTAILEDxDEE has been desperate for a re-brand for nearly 10 years. Naruto is a Japanese manga series, but Darnell’s love for it didn’t last as long as his love for PlayStation. “I realised I wanted to change my name three years later when I realised how nerdy it was,” he says. Adam, 24, from Ireland, made a username so bad as a teenager he wouldn’t even reveal it. It can make gaming with friends quite difficult. “I tell them my username with a red face and an explanation, I just want to be able to say it without that. That’s been an issue for many PlayStation gamers with a dodgy name. Once an account is made with a username and you start playing, the accolades and trophies you win on games are then attached to that name. So those gamers with weird or embarrassing usernames – but also long lists of trophies on their account – won’t make a new account to avoid starting all over again. Xbox fans were given the opportunity by Microsoft to change their Gamertag several years ago. PlayStation will have a trial period with the new feature in November for some of its gamers. The full feature will be accessible for all in early 2019. The new feature will be compatible with PS4 games made after 1 April 2018, as well as the console’s most popular games that were released before this date. 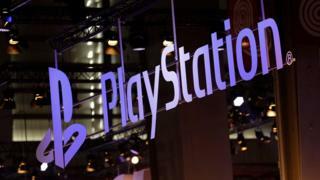 However, not all games made for PS4, PS3 and PS Vita systems are guaranteed to support the online ID change – gamers may find issues or errors in certain games.